Home » Gear » Screw-on Filters Vs. Square Filters. Which is best? Should you use screw-on filters or square/rectangular filters for your photography? Today I thought we would consider the differences between the two main types of photographic filter, and then weigh up the pros and cons of each of them for specific types of photography. My chosen writing topics are usually triggered by things I’m doing with my own photography business and this was something I’ve been looking at recently. My filter kit is a bit beat up and I’ve not been entirely happy with all the choices I made when I put this set together. As I started to put a new kit together, shaped by more years of experience in the field, I decided to swap a few square filters for some round, screw-on ones this time around and that’s what started this post. These filters screw onto the thread on the front of your lens. The size of filter you need is dependant on the diameter of your specific lens and you must have a filter that is at least as wide as the diameter of your largest lens. For example, if you have a lens that has a 77mm thread, and a lens that has a 67mm thread, you would buy a 77mm filter and then use a “step up” thread adapter to allow you to mount the 77mm filter on a 67mm thread. You cannot go the other way though, because a 67mm filter would not cover the full width of the 77mm lens and would therefore be visible in your photo. For most people, conundrums surrounding choice of filter sizes for their lenses is the biggest issue with filters. If you have many lenses with many different thread sizes then you have to carry lots of different adapter rings. These adapter rings can easily get stuck on filters and become a real pain to deal with in cold weather. Ideally, you would only ever buy filters that are the same size as your lens, but that’s not financially practical for a lot of people, especially with expensive polarizing filters. Another potentially problematic scenario is that you buy filters for one size of lens, and then later you realize you want to get a lens that has a wider filter thread. Now all your filters are too small for that new lens and there’s nothing you can do about it. This happened to me when Canon released their 24-70 f/2.8 L II which has an 82mm filter thread. All Canon’s previous L-Series lenses had a 77mm filter thread so that is the size of filter I have been buying for years. Suddenly I had to buy new 82mm filters and it cost me many hundreds of dollars! For many people, the reason for using screw-on filters rather than square or rectangular ones comes down to portability and ease of use. Screw-on filters can be fitted very quickly and there’s no requirement to bring anything else with you other than the filters themselves. A lot of times you can even leave filters attached to the lenses while shooting a similar scene from multiple angles. If you’re out for a day of landscape photography, there’s a good chance you can just leave your screw-on circular polarizer on the lens all day and then it’s ready at a moment’s notice. 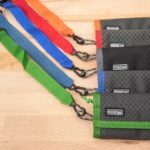 Multiple screw-on filters are also easy to pack in your bag in small filter wallets, and they are pretty durable unless you hit them hard with a blunt object or drop them on rock or concrete. There are lots of types of screw-on filters, but the most common ones are UV filters which people often use for lens protection, neutral density filters for achieving a slower shutter speed in landscape shots, or a circular polarizer for cutting down reflections on water or enhancing colour in the sky. These filters are made from glass or resin, and are typically used in conjunction with a filter holder that attaches to the front of a lens. They come in a variety of sizes to suit different camera types, but for DSLRs, by far the most common are the 100mm (4 inch) type. The square filters are therefore 4×4 inches, and rectangular ones for the same system are 4×6 inches. Just like screw-on filters, these square/rectangular ones come in a variety of types, although the most common are neutral density filters (square) and graduated neutral density filters (rectangular). The main benefit of this system is that you don’t need to get different sized filters to fit different sized lenses. Instead, all you need is a variety of adapters for your filter holder that are specific to the diameter of your lens. The filter holder adapter screws on to the lens, and then the filter hold attaches to the adapter. The adapters are cheap, so it’s not a problem to adapt a large variety of lens diameters to work with a single filter holder and set of square filters. It’s also relatively easy to stack multiple filters together as most holders will have multiple filter slots. This allows you to easily use multiple ND filters simultaneously, or an ND and a graduated ND at the same time. Conversely, stacking multiple screw-on filters together often results in vignetting unless you are using more expensive ultra thin filters. The thinner glass or resin square filters don’t cause vignetting quite so easily, but make sure you put them in the filter slots closest to the lens element. One thing that I want to point out is that you don’t need to use a filter holder for a graduated neutral density filter. It’s perfectly possible to hold a grad filter up against a lens for a shot lasting a few seconds. This is plenty of time for many landscape photography scenarios, so don’t assume you have to have a filter holder if you’re going to use anything other than screw-on filters. You could very easily use a screw-on polarizer and a hand-held rectangular grad ND. Now, if you want to shoot long exposures of water or moving clouds, then you’re going to want to use the filter holder for your NDs at that point. It’s not possible to hand-hold an ND for several minutes without moving it about and accidentally letting light in at the edges. 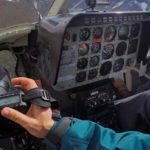 Circular polarizers are almost always of the screw-in variety because you need to be able to rotate them to any angle to find the best setting for the angle of light falling on your particular scene. Whilst it is possible to purchase a square polarizer, it doesn’t make much practical sense because if you rotated the square filter holder to adjust the polarization, you wouldn’t be able to use the holder for any graduated neutral density filters at the same time. Since a filter holder and a square polarizer are much more cumbersome to carry and use than a screw-on filter, there’s really no reason to give it a try. Use a screw-on polarizer that has another thread on the front of it, thereby allowing you to attach your filter holder to the front of the polarizer. 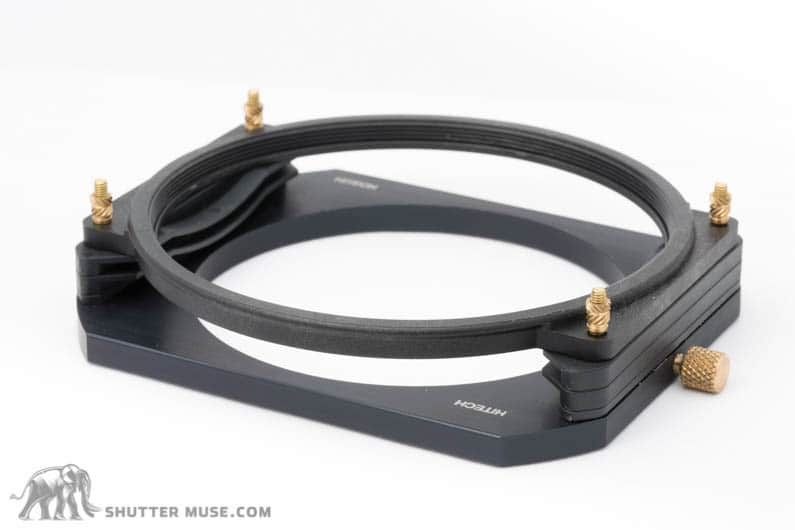 Use a larger polarizer (often 105mm) that sits in a special thread on the front of a filter holder (see image below). 105mm thread on front of square filter holder. Usually used for a circular polarizer. Which is the best method? All methods can get the job done, so there’s definitely some personal preference involved with this choice. Options 2 and 4 require purchasing polarizers that are effectively much larger in diameter than your lens. With high quality polarizers already being pretty pricey, this can make these larger sizes unpractically expensive for some people. It also means that you always have to have a filter holder with you, even if you’ve no intention of using other kinds of filters. Sometimes you might want to use a polarizer in a situation where ND filters simply aren’t necessary and I find it nice to be able to just carry a screw-on polarizer for that reason. The main disadvantage of option 1 is that it moves the filter holder further away from the front element of the lens. This will slightly increase vignetting in the corners of your image so you may find that you can’t shoot at such a wide angle as you otherwise would do before the vegetating appears in the shot. It’s for this reason that I tend to use option 3 myself. With just a screw-on polarizer on the lens, and a hand-held graduated neutral density filter, I don’t have any vignetting problems. Whilst they aren’t seen very often, it is actually possible to get circular screw-on graduated neutral density filters. The great thing about rectangular graduated filters is that you can reposition the darker area of the filter over the bright portion of your image. You have some flexibility to shift it up or down, and sometimes set it at a slight angle. Screw-on graduated filters don’t have that flexibility, and the dark part of the filter tends to be positioned in the top 1/3 of the image. 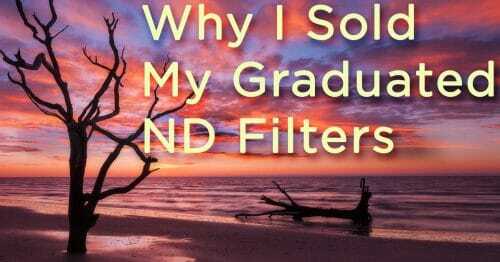 In many cases that’s probably still better than using no graduated filter when you have a bright sky in your shot, but it definitely limits potential and could force you into choosing your composition based on your filter design. If you only have one graduated ND filter, make it a rectangular one and not a screw-on one. The only scenario that I can think of where you might want to choose a circular graduated filter over a rectangular one would be when carrying the sometimes fragile rectangular filters isn’t possible. Glass graduated filters can be brittle, whereas a screw-on style one would fit into a small pouch and be a lot more durable. Even this is a slightly dubious argument because these days glass filters aren’t the only option. Resin filters have come a long way and in fact that’s what I’ve been using for the last few years. They are much more durable than glass filters and I have no qualms about bringing them on even my most rugged trips. 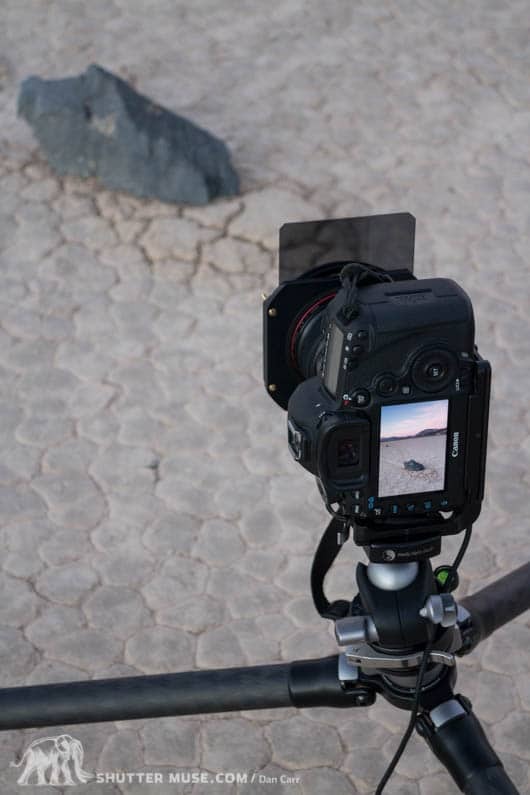 Photographing the mysterious traveling rocks of the Racetrack Playa with a filter holder and graduated ND filter. 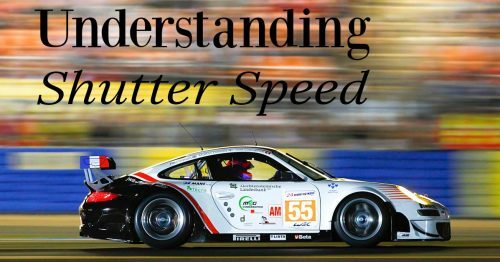 The majority of people use ND filters to cut down on light entering the camera and allow longer exposures that render movement in exciting ways in a photo, see the article on understanding shutter speed for more details. Sometimes, though, an ND filter is also used to allow you to shoot in bright light with a very wide aperture. If you wanted to get a very shallow depth of field then you have to shoot with a wide aperture but problems can arise on bright sunny days. Even at ISO 100, a wide aperture in the range of f/1.8 – f/1.2 can result in a necessary shutter speed that far exceeds that which a camera is capable of. Pro cameras usually max out at about 1/8000 of a second maximum shutter speed, but some will only go to 1/4000. If this shutter speed isn’t fast enough to allow a proper exposure at wide apertures, you’re forced to use a smaller aperture and hence get more depth of field. For this reason, if you’re a portrait or fashion photographer then you might want to use an ND filter on your lens to cut down the overall exposure and force a slower shutter speed at that nice wide aperture you want to use! But would you use a round screw-on ND filter? Or a square one? The choice is pretty clear in this case; a round filter would be the best option. Square filters that require filter holders are fine for using on a tripod, but they don’t really lend themselves to being used in a more fluid way as you would be in a portrait shoot scenario. Filter holders are a bit cumbersome and to be frank, most filter holders I have tried, do not feel that secure when mounted to the camera. They were designed to be used by landscape photographers with tripods, and not moved around frantically capturing multiple angles while a model is pulling 20 poses a minute in front of your camera. There’s simply no way I would want to use a filter holder and a square filter for this kind of shooting. It would not be long before you knock it off the camera, or the constant switching from portrait to landscape loosened it and sent it crashing to the ground. Screw-on filters are the way to go if you are looking to work with wider apertures for portraits, wedding and street photography! ND filters are often used when shooting video because shutter speeds need to be kept low in order for the video to have a fluid “filmic” look to it. A video with a shutter speed of 1/1000 for example, looks jittery and weird. The general rule with video is to use a shutter speed that is twice what your frame rate is. If you are shooting 29.97 fps video, you would use a shutter speed of 1/60 second. That’s actually a pretty slow shutter speed and it’s hard to achieve on a bright sunny day unless you always put your lens at f/32! ND filters allow the slower shutter speed and a wider aperture to be used. Whether you should use round or square filters for this will depend on your shooting style. If you are hand holding the camera in a “run and gun” style, I think screw-on filters make much more sense for all the reasons mentioned in the previous section. They’re just less likely to get in the way and get damaged! If you’re shooting from a tripod, though, there’s no reason not to use square style ones. In fact, many people use a matte box which is like a combination of a filter holder and a lens shade all in one. These cinema specific accessories often take a different size of ND filter, so be careful when purchasing. Some choices are pretty clear. 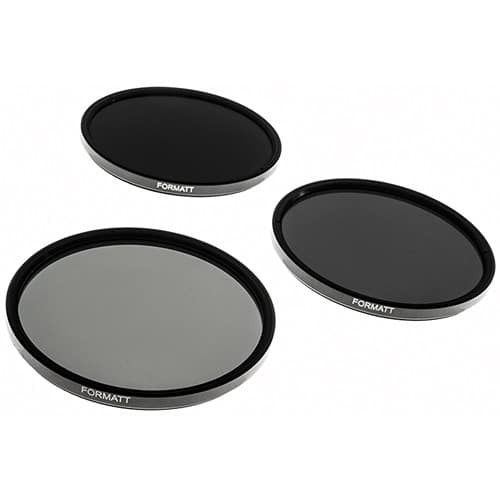 For circular polarizing filters you are better off getting a screw-on filter and for graduated neutral density filters your best option is rectangular filters. 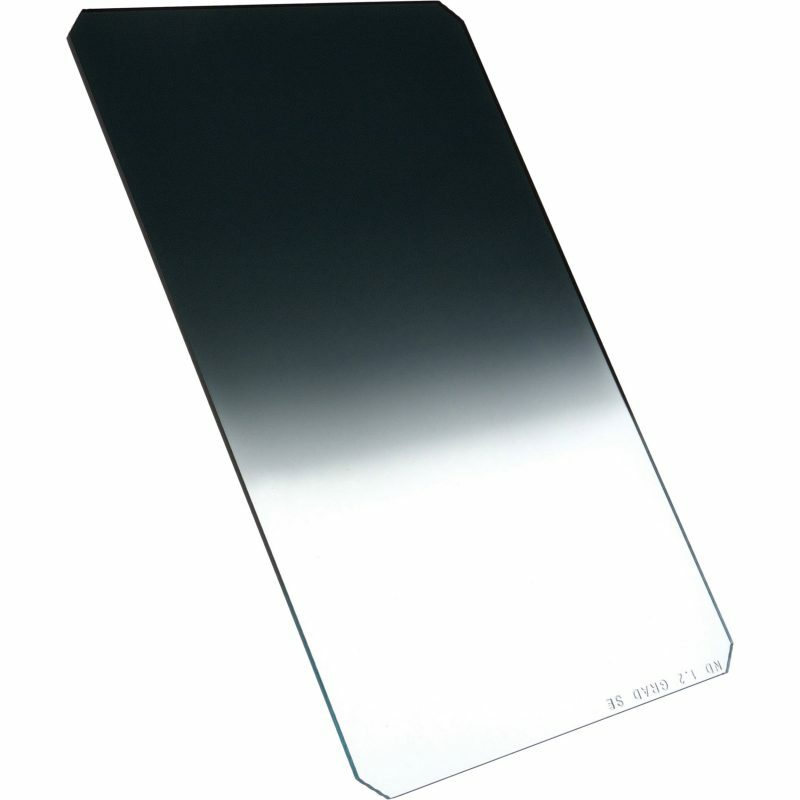 The main choice comes when choosing regular neutral density filters and speciality filters such as a warming filter. There are pros and cons to each choice, and some of it will come down to personal preference and your style of shooting. I personally think that if you are looking to use a single ND filter and a polarizer, the simplest solution is to use screw-on filters and stack them together. By getting the ultra thin style polarizers that don’t have a front thread to them, you can keep your stack thickness relatively low and not have any vignetting problems. This obviously works best if all your lenses have the same filter thread diameter. If you plan on needing to stack multiple ND filters together, then you’re probably better off with a square filter system. BONUS: What’s does my current filter kit consist of? After receiving a couple of questions, I’m adding a quick list here of my current filter kit after its recent restructuring. I’ll have to find more time for an in-depth discussion on this kit but here’s a simple list to satisfy curiosity. What’s in your kit? Which kind of filters do you use? You speak of the vignetting caused by the filters as though it is a factor of the thickness of the filter that causes the vignette. It is not the thickness of the glass or resin that causes a vignette. It is the ring itself entering the field of view. When stacking screw on lenses the rings stack into the field of view. This problem can be resolved by using a shallow adapter and filters that are larger than your lens. Example: 82mm filter on a 77mm lens. 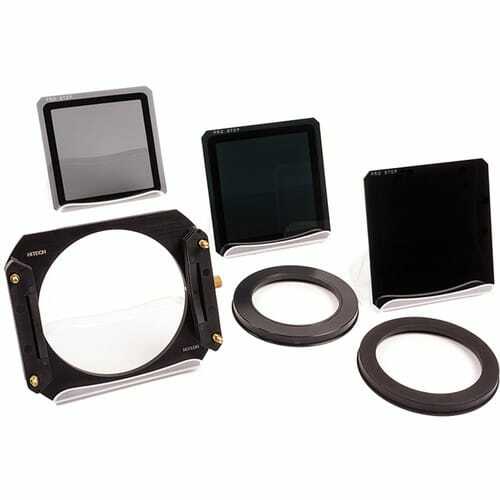 With square filters, they are well outside the field of view by design so stacking them is not an issue. This is another CON for screw on lenses. Speaking of vignetting, you suggest placing a polarizer at the front of the square stack. This would create a huge vignette and force a large crop of the scene. I’m not sure how the Format-Hitech frame works but the Lee frame rotates so that you can change angles on things like ND lines. It may be a little cumbersome to operate but the results will be better. Another thought on grads: reverse grads come into play when you are shooting scenes with bright center lines. For example, a sunset on the water with a heavy cloud layer. My 70D does not have the dynamic range to shoot morning and evening scenes without blending multiple exposures at very wide EV ranges. I often find myself wishing I had a square stack. Especially in situations where there is motion in the scene. Example: I was shooting a sunset in San Diego and wishing that I had a reverse nd grad and standard nd grad so that I could cut the intense light of the sun along the water line while reducing the brightness of the sky to a lesser degree and yet have enough exposure value to capture the beach in the foreground. 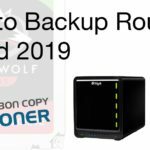 Having the flexibility to move a Rev. GND and a GND independently would be a huge advantage. I’m aware that vignetting from round filters is not a factor of the actual filter thickness. I’m sorry you got that impression. For what it’s worth, on a full frame camera with that front mounted polarizer on the Formatt holder, it vignettes at 16mm, but not at 17mm. It defiantly does not require a large crop as you suggest. If I use a holder, that setup in the photo is my actual holder, and I use it with a 16-35 on a 5D Mark III using their low profile adapter rings. You mention I suggest that setup, but actually I offered 4 options and then mention that I prefer one of the other ones due to the vignetting that’s introduced by the front mounted option. As for reverse grad and a regular grad, I often use them together as well and have no problem hand holding them both simultaneously. 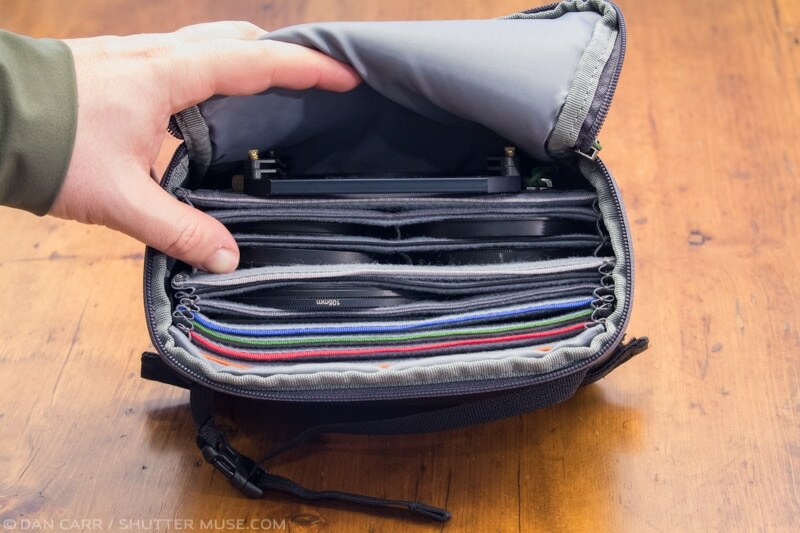 I just sandwich them together and hold them in place if I’m not using my holder (when I am in a rush). Yes the Hitech holder can rotate. Okay so I have a 52mm wide lens on my Nikon. I will most likely ONLY use this for my long exposure photos but IF I ever decide to use a different lens these filters most likely won’t fit because they are so small. Do I purchase 82mm filters and use and adapter ring or do I just bite the bullet and go for a square system? I wouldn’t recommend using an 82mm all the time on a 52mm because it means you can’t use a lens shade which can sometimes be nice. Step rings are handy for occasional usage, but if you really think most things will be done with the 52mm then I think you’re best to stick with that one. What do you mean by lens shade in the comment above? I should have said lens “hood” not “shade”. You know the plastic petal shaped things you put on a lens to prevent lens flare. In many cases it is important, yes. Reffering to the post and your filter kit I would like to use screw-on CPL or ND filters with square GRAD ND filters at the same time. Taking into account the efficiency and usefulness can I stack one screw-on filter ND or CPL or maybe both with holder and GND filter? I do not want to buy any non-functioning filters kit. I am great (mike with2 NEW LUNGS)my Minolta 24/28/50 mm all49 dia 70-210 55mmdia so two filtersizes , have cokin sq ; got ring sizes at salvation army 99 cents……now buy 2nd hand/specificly to protect lens HOWEVER found 24 (12 half colored)sq filters 2 holders AND lens sizes from49-82 ///all 8or 10 sizes . $100 Canadian wow zaaaaa!! HOW ARE YOU forgot to mention loved your photography (your more super duper than I expected//and accomplished !!!!!!!! Thanks Mike! I am very well thank you. Iam having a 82mm B+W xs Pro 82mm HTC circular screw in polarizer for my tokina DX 11-20 f2.8 lens. I have lenses with diameter 82mm,77mm,62mm,58mm. I wish to buy 2stop & 3stop GNDfilters & 6stop & 10stop ND filter . By buying the above filters could I able to use in all the four diameter lenses I have. I wish to stack with my 82mm circular polarizer when circumstances arises. Give me the options available with both screw-on & rectangular filters. Yes if you buy 4×6 GNDs and 4×4 NDs you can use them with all of your lenses. Thanks for your reply. For screw on filter what should I buy. I am not a dedicated landscape photographer. However, I do understand the need or filters and I do use filters quite often. My travel kit contains two circular B+W circular polarizers, a 67-77mm adapter, a pair of 77mm Heliopan GND filters (hard and soft cut off), a 77mm 10=stop B+W filter and a 3-stop 77mm ND filter. I carry the 77mm filters in a stack, protected by stack caps and carry the 67mm polarizer in a soft pouch. The reason why I have both 77mm and 67mm polarizers is that I often soot with two cameras and like both cameras to have CPL on the lens. Seems like you have a solid kit there. I’m somewhat similar in that I often don’t take the time to use the grads if ‘m traveling. Thanks for taking the time to comment and share your setup!! Hi, Dan. 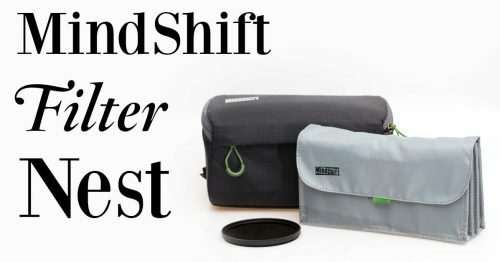 I’m just wondering, have you ever heard of the Filtek SLR Filter System? It’s quite an oldie but, then, so am I! Would you happen to know how one fits it to the camera? Thank you in advance for any advice you can offer. Hi David! I’m afraid I have not heard of this system. Are you able to contact the manufacturer? Are they still around? Question more than comment. Do you get any movement of focus when screwing on a 10 stop ND filter after you’ ve auto focused and then switched to manual? It’s really dependant on the lens. Some old lenses get a big “soft and squishy” and things are more easily moved. Some people use electrical tape to tape the focus ring – I don’t find that to be necessary with any of my lenses. Also keep in mind that movement may be minimal and if you are using a 10-stop filter I’m going to guess you also have a small aperture and pretty large depth of focus, so a micro movement of the focus ring wouldn’t translate to any visible change in focus in the final image. Thanks for the quick and concise response. I totally understand it! 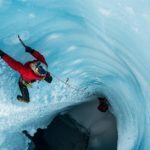 Heading to Iceland this May!